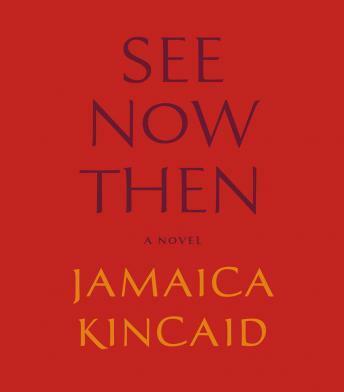 In See Now Then, the brilliant and evocative new novel from Jamaica Kincaid-her first in ten years-a marriage is revealed in all it's joys and agonies. This piercing examination of the manifold ways in which the passing of time operates on the human consciousness unfolds gracefully and Kincaid inhabits each of her characters, a Mother and Father, their two children living in a small village in New England, as they move, in their own minds, between the present, the past, and the future-for, as she writes, 'the present will be a now then and the past is now then and the future will be a now then.' Her characters, constrained by the world, despair in their domestic situations. But their minds wander, trying to make linear sense of what is, in fact, nonlinear. See Now Then is Kincaid's attempt to make clear what is unclear, and to make unclear what we assumed was clear: that is, the beginning, the middle, and the end. Since the publication of her first short story collection, At The Bottom Of The River, nominated for a PEN / Faulkner Award for fiction, Jamaica Kincaid has demonstrated a unique talent for seeing beyond and through the surface of things. In SEE NOW THEN, she envelops the listener in a world that is both familiar and startling-creating her most emotionally and thematically daring work yet.